We are the only car vinyl wrapping company in Australia which has an ability of using any kind of vinyl from simple air release materials to harder mirror finish chrome installation. Vehicle wrap is the hardest vinyl application due to the complexity of the shape and high wear. Despite that PROvinyl offers a one year workmanship and a five year material warranty on all our projects due to the highest possible quality of instillation, materials, tools and staff employed. 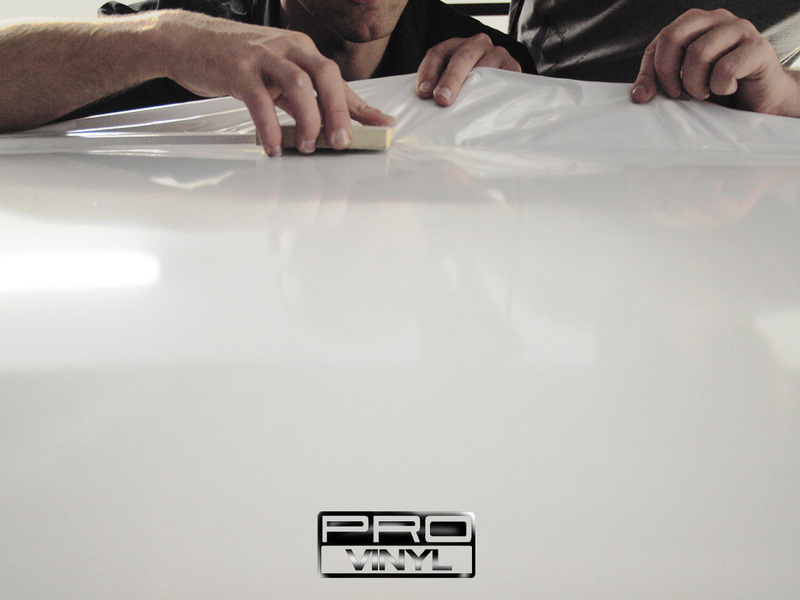 Even though all car wraps and vinyl installation are done by hand PROvinyl uses leading techniques and trained professionals to prevent errors and mistakes, ensuring the highest quality during the project. According to statistics there is about 3% error in the work and materials, below our high standards due to the nature vinyl application. The PROvinyl team are happy to replace or fix any problem areas or bubbles at no extra cost at convenient time to you, our valued customers. We provide all required documentation for quotation, lodgment of the car and warranty certificates after completion. We can also pick up and deliver your car Australia wide if needed. We are wrapping sports cars, taxi cars, special service vehicles, emergency vehicles, corporate fleet, hire cars, promo cars and personal cars and fleet. Real carbon fibre is very expensive. In order to make one component from carbon fibre, requires large amounts of labour and materials, resulting in real carbon fibre being so expensive. Most auto enthusiasts like carbon fibre, more for the sporty looks, rather than lightness, and this is why there is such a large market for carbon fibre vinyl. 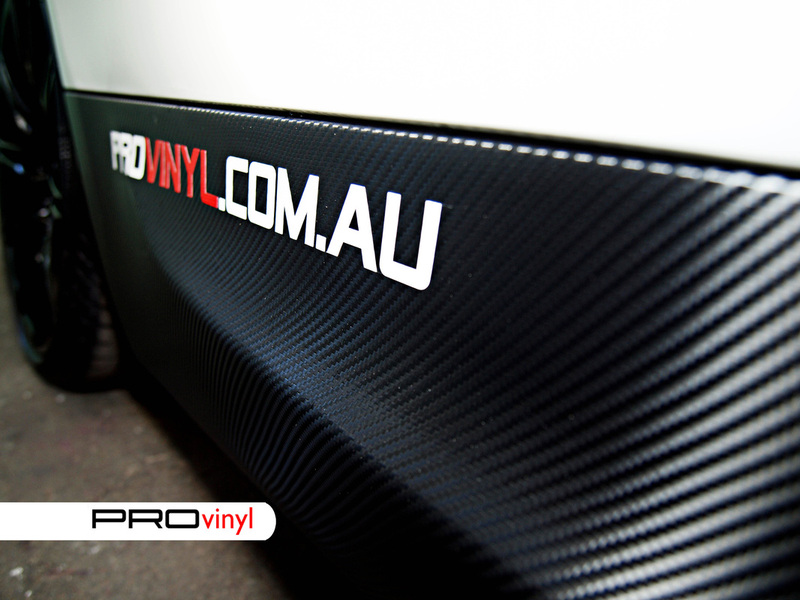 Carbon wraps in Australia have been increasingly popular over the last 5 years and still is a best-seller. 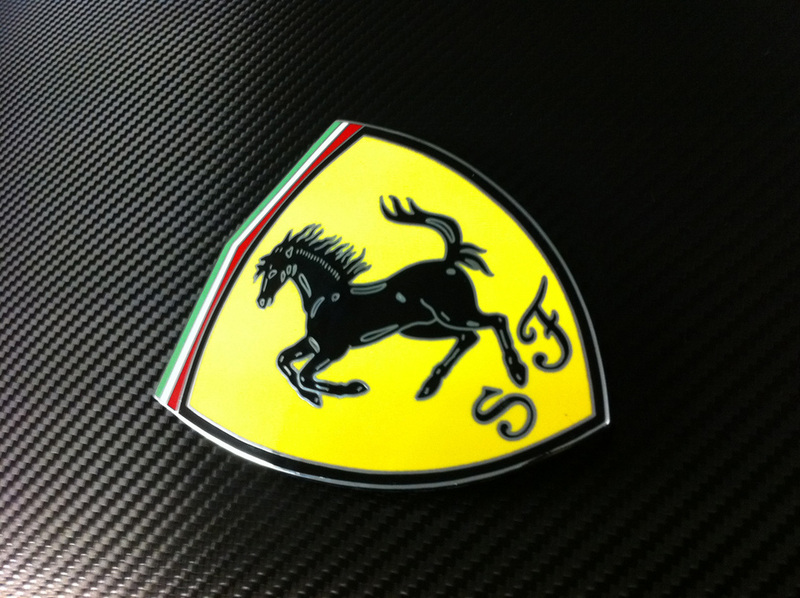 First tests of carbon fibre vinyl were conducted in 2003. Carbon fibre vinyl structure was printed and then laminated for durability. 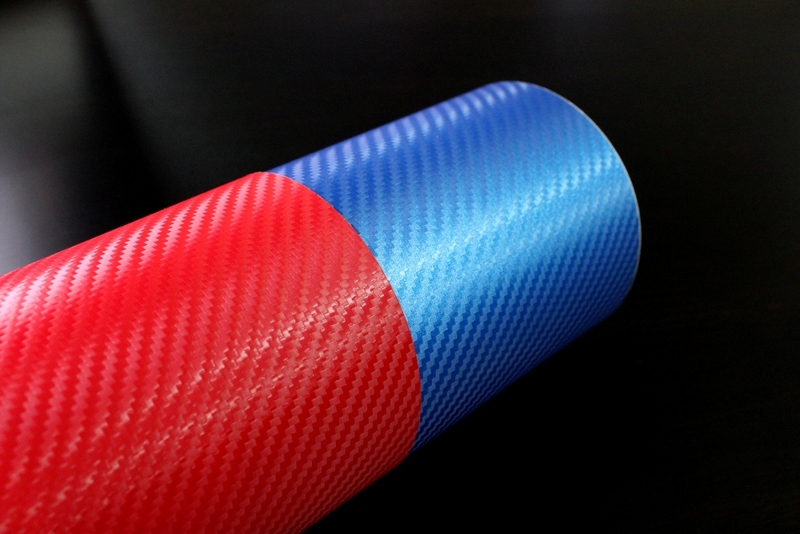 This kind of carbon vinyl is called 2D. 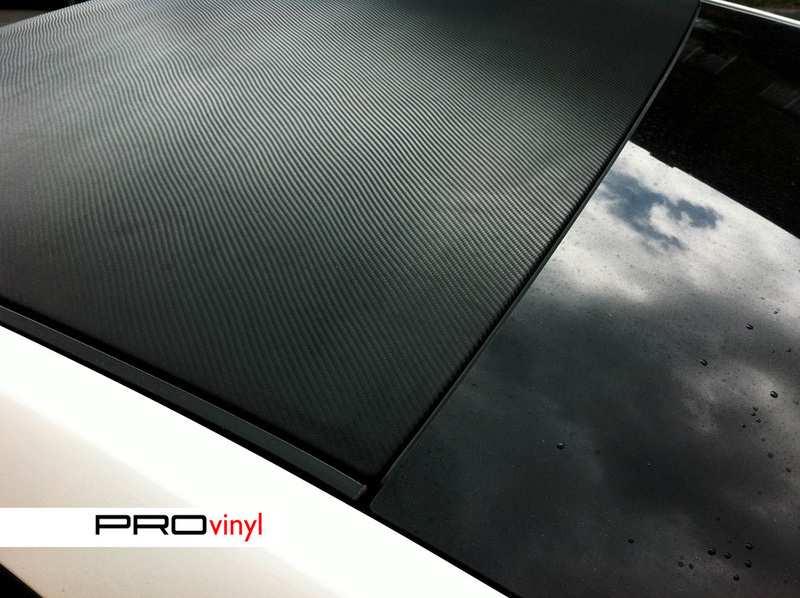 In 2008 a 3D carbon wrap vinyl was released. The difference from the 2D version is in the structure. 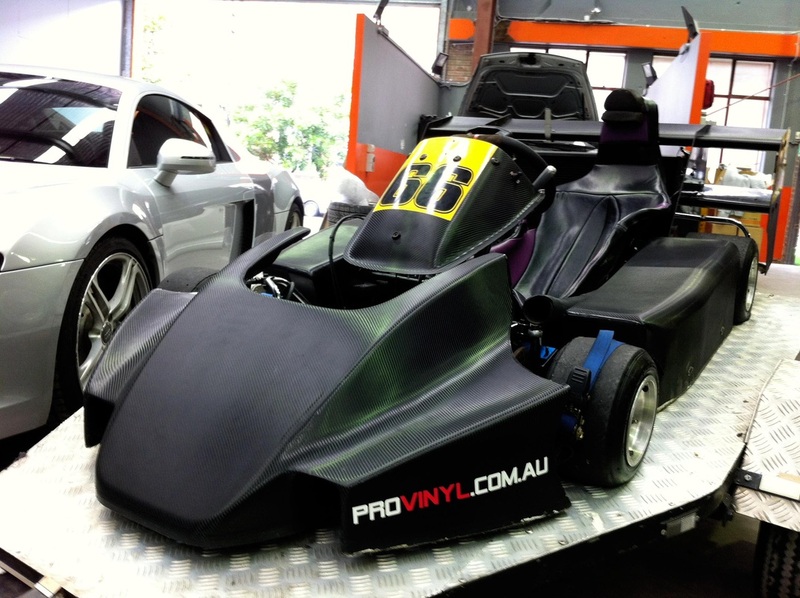 Carbon fibre vinyl was developed to not only be printed, but now has a carbon fibre 3D feel and structure.. To produce such a carbon wrap giant moulds are used to create a 3D print on liquid vinyl which is then covered with a layer of adhesive. 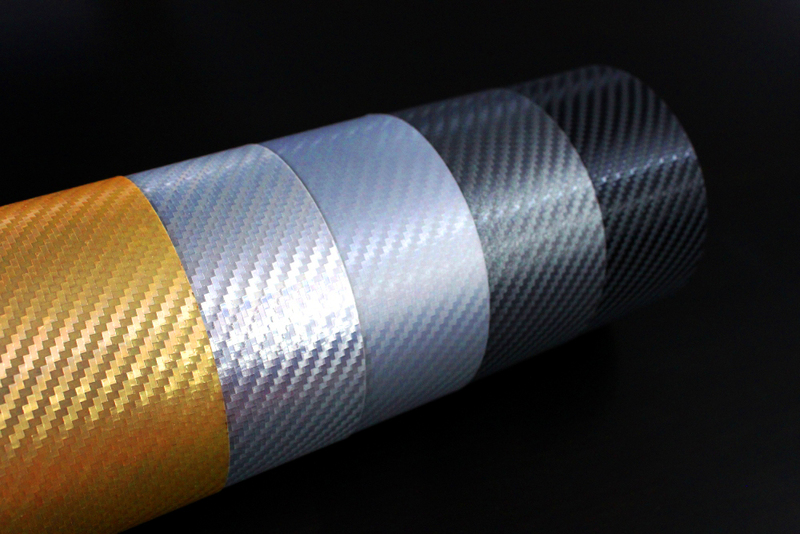 Such method allows the production of carbon fibre wrap, available in a variety of different colours. In 2010 major manufacturers released chrome carbon fibre vinyl. In simple term, it is a clear carbon fibre vinyl with a layer of chrome film behind it. 'Carbon Chrome' is not as reflective as a standard chrome vinyl, but still achieves a chrome look. 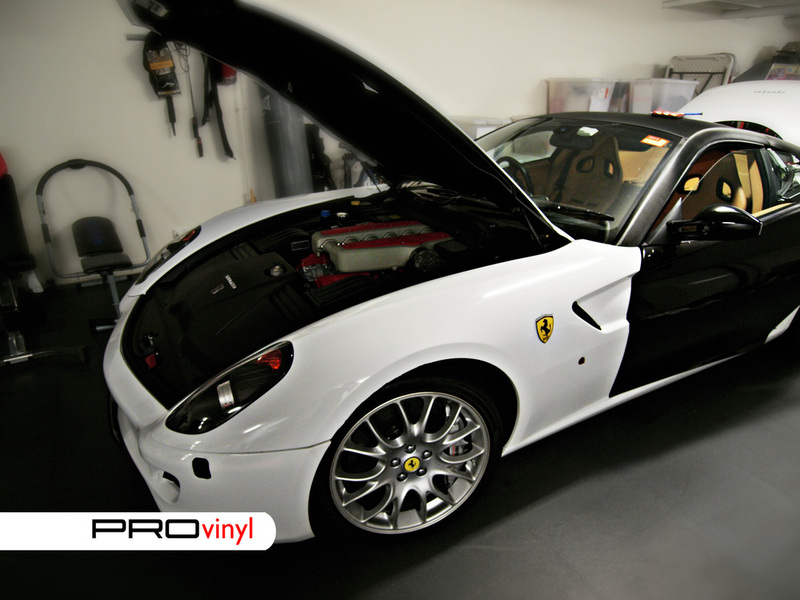 This is one of the most expensive and hardest vinyl's to install due to its properties. There is another type of carbon fibre which is called pearl carbon fibre wrap. Just like chrome carbon fibre it has an additional layer of 4 colour pearl film and being a more flexible material to its chrome counterpart, makes it a much easier vinyl to apply. It is a stunning finish and when applied a car gives an astonishing and extremely unique appearance.